Today marks Global Handwashing Day and the emphasis on hygiene could not be more pronounced. Accra struggled with a Cholera outbreak - that had patients being turned away from Korle-Bu teaching hospital - that has thankfully been put in check. Sadly Ebola’s been spreading across West Africa and beyond with a 2nd reported case, a nurse, contracting the virus in the United States. Last Sunday on the Mpwr Show on Y 107.9 FM we highlighted one of the ways of preventing oneself from infection, amongst others, was washing one’s hands regularly, with special emphasis on drying our hands on clean towels or disposable tissue paper. Full list of all Ebola preventative measures, here. The #LifeBuoyGHD message is simple, let’s promote better hygiene habits especially among children and our world will be safer & healthier because of it. Handwashing fact sheet, here. Every year 1.7 million children under the age of 5 die of infections like diarrhea and pneumonia. 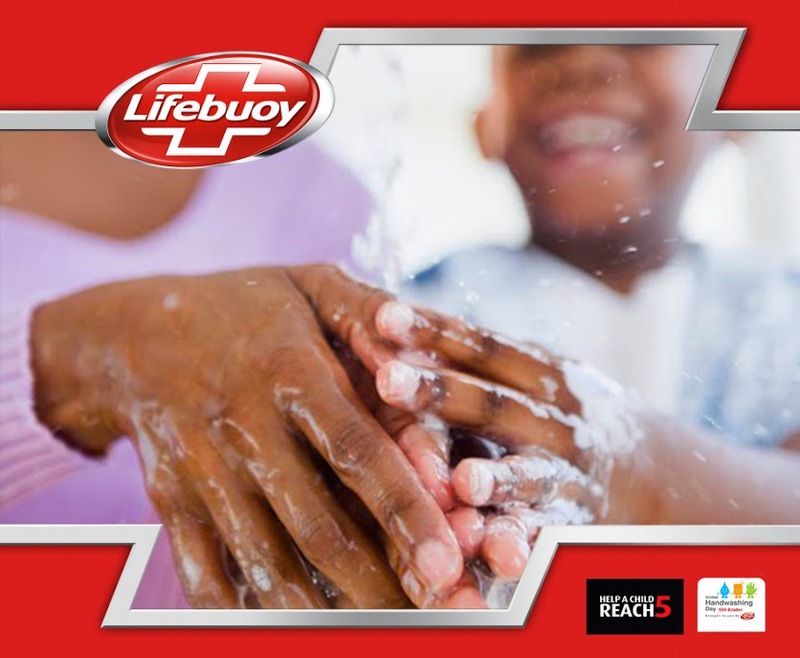 This #GlobalHandwashingDay I pledge to #HelpAChildReach5 by teaching kids the importance of handwashing w/ soap! Join here. 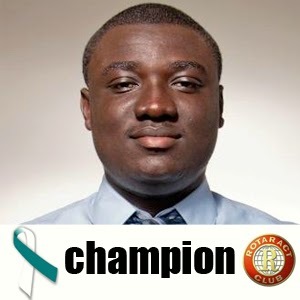 I have been moonlighting as the online engagement lead for the Cervical Cancer Awareness and Screening campaign drive by the Rotaract Club of Adentan. 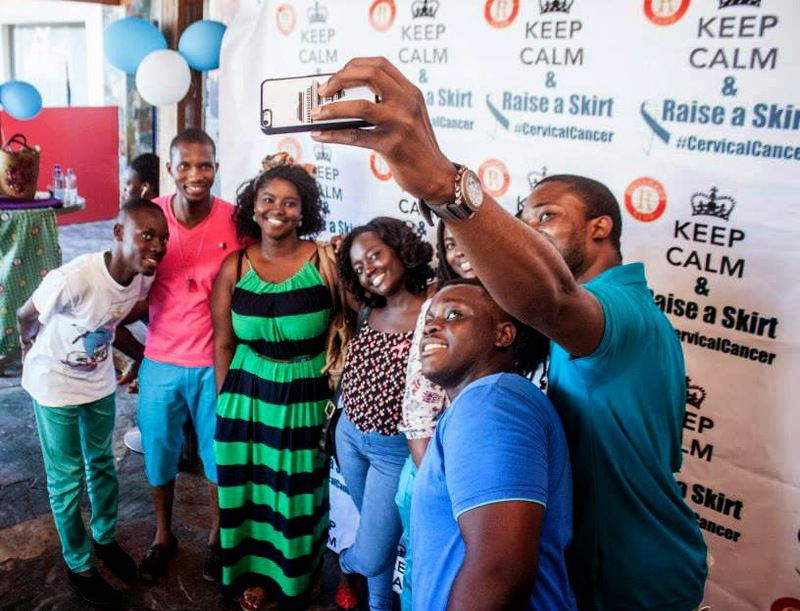 The main aim of the drive is to get as many young women (usually in early 20 somethings to 45, who are sexually active) screened and to create general awareness about cervical cancer. An innovative idea we had was to get as many Rotary & Rotaract members as engaged fund-raisers for the cause so they update their Facebook & Whatsapp profiles accordingly. 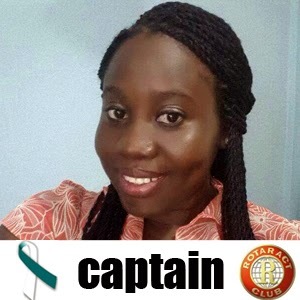 For each target amount of money raised, each participant becomes a Captain, Champion or Ambassador. In the first month we've been able to 6,500 + Cedis from this campaign. It is truly amazing what innovation coupled with a good cause can achieve. A big shout out to +Nii Aryee Otoo for taking the pictures with my camera #teamworkdreamwork. 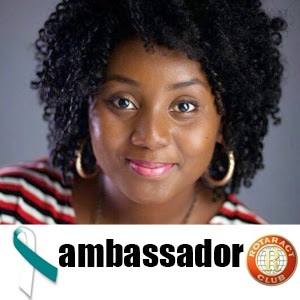 More posts on my Rotary/Rotaract experience here. 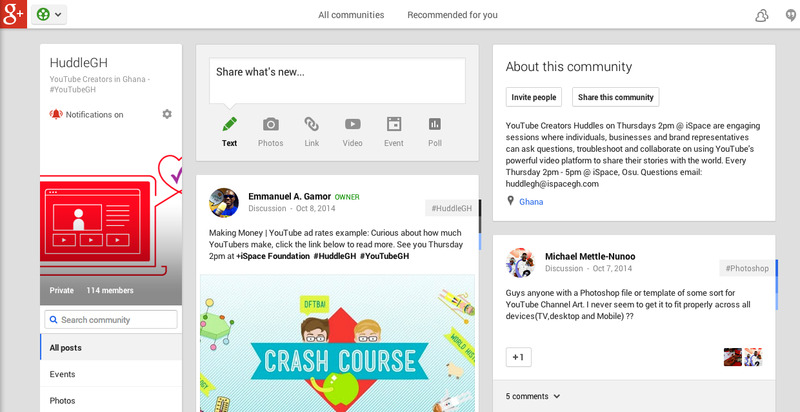 I get to positively surf the internet, especially YouTube for work and the daily. My new Chrome-cast device, a gift from a fellow Googler + Surfline (Ghana's 1st 4G LTE internet), also enables me watch videos on a large screen at my leisure. 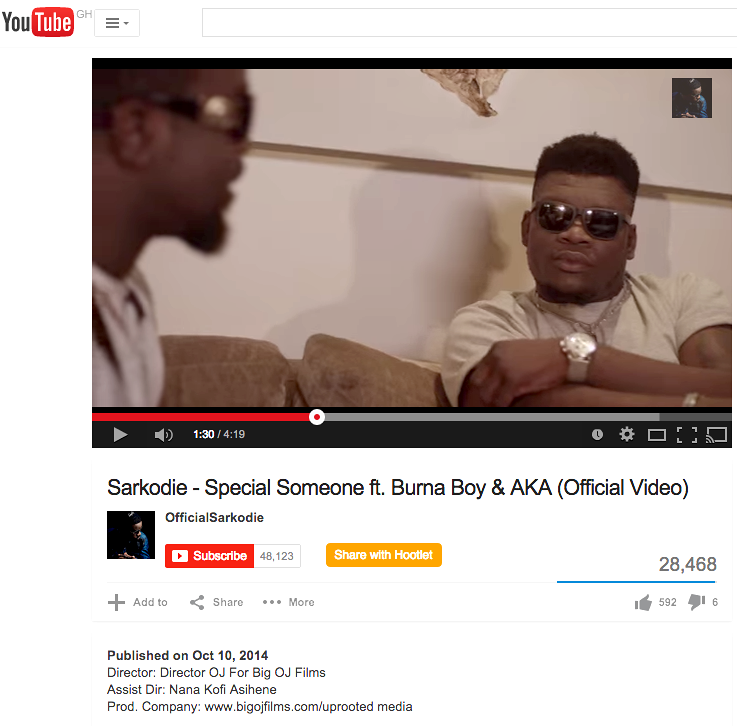 I'm biased towards impressive Ghanaian music videos and lately, Sarkodie doesn't disappoint. His track "Special Someone" produced by fellow Ɔdadeɛ Jayso & features one of my favorite Nigerian artist Burna Boy (see post about why Burna's my homeboy, here), and South Africa's latest hip-hop phenom Aka. While watching the video though, I noticed prolific Ghanaian musician and hiplife artists Castro's cameo which led me to believe that this video was shot much earlier this year, or conspiracy theorists remarks that Castro isn't dead *side eye* . As much as I'd want him alive too, what would he have been doing all this while then? So many questions, so few answers. Whistling to Sark's "Special Someone" as I exist stage left. Monday October 6th, 2014 was a public holiday in Ghana in honor of Eid Al-Adha. Thus, October's Accra Discourse was a Twitter Debate #AccraDiscourse with hub members: Deborah Ahenkora(@missahenkorah), Donald Ward(@donaldwardgh) & Regina Agyare(@ragyare) leading the discussion. If you're visiting my blog for the first time, the Accra Discourse is a monthly conversation and networking event where passionate voices in Ghana connect with key drivers within sectors of leadership, business and development to have conversations that contribute to shaping the future of Ghana. The Accra Discourse, is an initiative of the Global Shapers Accra Hub, a community of the World Economic Forum. Posts and pictures from previous Accra Discourses here.